Momma Baked! Cake ~ Classic moist yellow cake and layers of fudgy chocolate frosting…just like Mom used to make but but better! Everyday Birthday Cake ~ Buttery rich white cake filled with layers of whipped vanilla buttercream and colorful super sprinkles. Devil Made Me Do It ~ Sinfully delicious devil’s food cake layered between thick creamy rich dark chocolate frosting. Banana Pudding Cake ~ Sweet classic butter cake layered with fresh bananas and pudding. Covered in cream cheese buttercream and crushed nilla wafers. Cinnamon Toast Crunch Cake ~ Who’s favorite breakfast wasn’t CTC? Now we bake it into your new favorite cake! Sweet and cinnamony white cake with a creamy cream cheese frosting, dusted cinnamon sugar. Butter Me Up Butter Pecan Cake ~ Buttery pecan-filled white cake drenched in brown sugar cream cheese frosting, topped with chopped pecans. 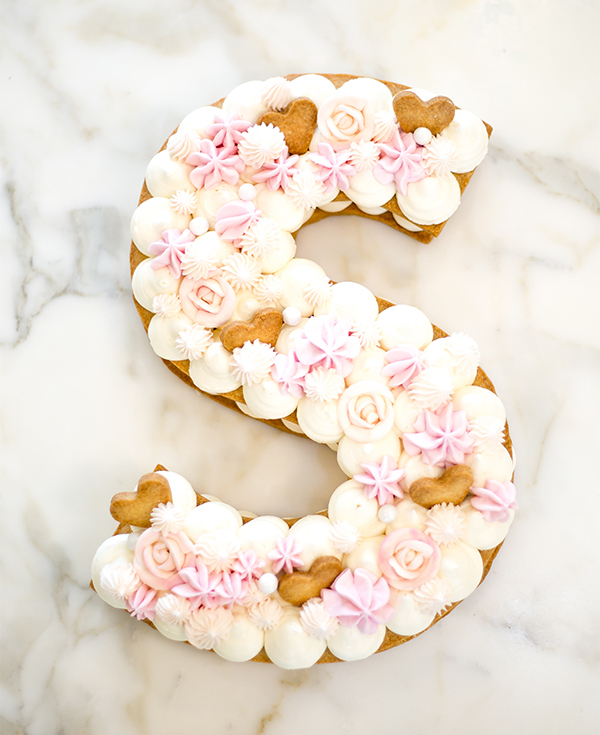 Monogram Cookie Tart ~ Our signature sweet sugar cookie shortbread custom made with buttercream filling in your choice of letters or numbers! One of a Kind Roll Cake ~Vanilla flowers- vanilla sponge with strawberry cream filled. Additional add ins to make your cake spectacular!